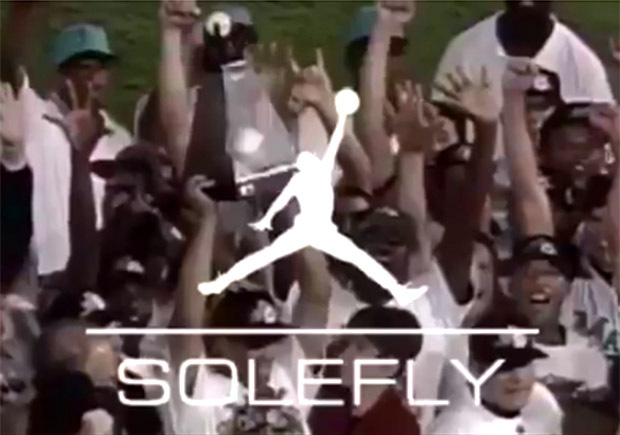 Playoff baseball is almost here, and it looks like Miami sneaker shop SoleFly is ready to celebrate with an Air Jordan collab celebrating their local World Series history. Following up their recent Jordan Eclipse collab, today the shop sent out a teaser clip on their Twitter account, featuring some footage from shortly after the Florida Marlins (now the Miami Marlins) won their first MLB championship in 1997. No word yet on what Jordan model will be utilized for what we assume will be a Marlins black and teal colorway, so stay tuned for further details.